Do certain personality traits, a history of adverse childhood experiences ACEs, or a particular way of coping with stress make a person more likely to get scoliosis? Medical research has been woefully inadequate on this condition. Adolescent idiopathic scoliosis is the most common type of scoliosis. It develops just before or during the growth spurt of puberty. In most cases, this sideways curvature of the spine is called ‘idiopathic‘ in medical terminology ’cause not known.’ The sad fact is that in an estimated 80–90% of scoliosis cases its pathogenesis is unknown. Even today, medical science has failed to pinpoint what exactly causes scoliosis. Has research seriously looked into the pre-onset psychosocial history of a scoliosis patient? Personally, I know that my traumatic home environment pre-disposed me to developing this painful, deforming condition. 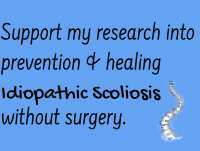 One common factor which I have consistently noticed in the patients with scoliosis is the loss of a loved one, through divorce or death. It could be a parent and even a loved sibling. This loss precipitates the feeling of being deeply alone and without support. When a child’s needs and feelings are simply ignored or worse brushed aside. And is unable to express the pain, loss, and grief, and has to bottle up these painful feelings. Either because the adults just don’t care or are busy dealing with their own emotional upheavals. The delicate mind-body connection gets affected which in turn warps the growth of a child. We all need human support to survive and thrive, more so growing kids. Predisposition to any illness begins years or decades before onset. Environmental stressors that trigger onset are merely the last in a series of events that build and then convert an underground process into something that becomes overt. In my case, my mother was ill, I mean really ill nearly 3 years prior to her dying of cancer. Emotionally I was very vulnerable to any added stressors in my environment. Added to bereavement there was physical, emotional and sexual abuse. Is there a scoliosis prone personality type and is it inborn or formed due to environmental factors? Are they more sensitive, repressive of their emotions, people pleasers and overly responsible? According to her mother, Sarah Ferguson, Princess Eugenie had always been ‘slightly edgy, slightly needy‘. She has been ‘a bit second daughter’ to her older sister Princess Beatrice who is ‘more secure. How was she expected to feel secure if her mother had abandoned her to go partying? Kurt Cobain who also had scoliosis was described as ‘excitable and sensitive’. Studies have proved that parental discord and neglect, (especially if the child is under six) have specifically been linked to the child developing HIGH EMOTIONAL SENSITIVITY and a greater susceptibility to stress. As a child, prior to my mother’s death, I became more and more hypersensitive to my mother’s needs. Hoping that with my care she would not die. Subsequently, an abusive environment post her death increased my hypersensitivity. Becoming hyper-alert and cued to the demands abusive environment was the only way to survive. Additionally, not showing their true feelings is a common personality trait in scoliosis sufferers. They are people pleasers and yes-persons. Fake laughter defensive response to stress is a common trait in scoliosis patients. Indulging in self-depreciating laughter was my protective shield against painful emotions. In the mid-1950s, anthropologist Gregory Bateson coined the term “Double Bind”. It means an emotionally distressing dilemma in communication. wherein an individual receives two or more conflicting messages, with one negating the other. It is a form of gaslighting that adults use to bully people into complicity. Double binds can be extremely stressful and psychologically destructive. One is trapped in a dilemma fearful of fighting or confronting the adults indulging in this warped behavior. It is this subtly contradictory but nevertheless abusive caregiving that a child receives. This creates a mental fracture which could either cause schizophrenia or maybe scoliosis. According to Chinese medicine, the body of the child may take a blow to itself just to prevent himself/herself from a mental and psychological breakdown. Scoliosis occurs to prevent a person from breaking down emotionally. This I know is very true in my own case There were times I thought I would go mad with all the contradictory messages I struggled to make sense of. The good, Catholic 13-year-old girl who is responsible for her Uncle’s lust, while I had to continue to be polite and nice to him. It was crazy making, I just shut out the memories and emotions. I numbed and suppressed my feelings of being a woman and my sexuality. Dealing with hot/cold parents who display different personas is distressing for a child. From loving to raging or being one thing at home and showing another face to the outside world. Publicly, my father portrayed a duty-bound, caring dad while privately he was Mr. Hyde – violent and emotionally abusive. Always threatening to throw us out of the house. My maternal grandmother was the expert in silent treatment. Publicly she was Mother Theresa but when no one was around she would go into Ignore Mode. Added to these physical and emotional contradictory behaviors, the biggest double-bind messages I received was with regards to sexual abuse. My father made me kiss my cousin who he knew had been sexually abusing me. And my grandmother told me to go out with the same Uncle whom a week earlier, I was accused of trying to seduce. Could this kind of cognitive dissonance divide the mind into two parts – the emotional right brain trying to cope with the conflict and the logical left brain finding ways to survive? Resulting in the right brain getting stuck in trauma while the left brain overcompensating with logic, leading to lopsided physical development. Why is idiopathic scoliosis more frequent in certain families? Is it simply the intergenerational transmission of the same double bind, abusive behavior? Without a doubt, environmental stressors trigger our conscious and unconscious perceptions of threat in our nervous systems. Maybe, an event occurs which could be the last straw triggering a latent defense response, leading to a disease. For me, it was my Aunt accusing me of trying to seduce her husband. Even today, bracing is the first line of treatment. The next option, particularly with curves over (45-50° and higher) surgery is recommended to lessen the curve and prevent it from getting worse. However, bracing has been proven ineffective and surgery is extremely invasive, dangerous, and relatively quite ineffective as well. Furthermore, they fail to tell you is that after the surgery you are effectively stuck in place with steel. You will never move, bend or twist normally again. Though you may walk around straighter, that is your only available position. They also fail to disclose that the muscles of the spine have ‘muscle memory’ or emotional memory. Gradually, this will pull the steel rods over time and bend them back into the shape of the original curve. Healing scoliosis really starts with your mind. 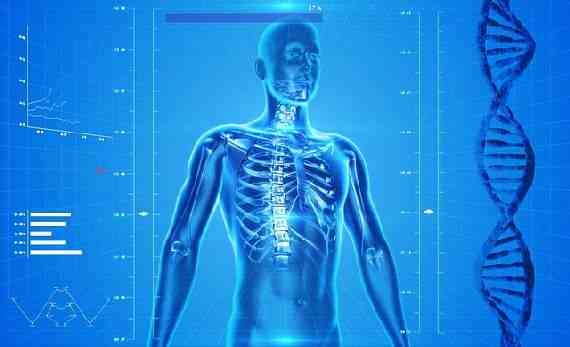 In the health care system of the United States, the average hospital cost for cases involving surgical procedures was $30,000 to $60,000 per patient in 2010. As of 2006, the cost of bracing has been published as up to $5,000 during rapid growth periods, when braces must be consistently replaced across multiple follow-ups. In India, surgery costs range between USD 11000 to USD 13000. Traditional scoliosis treatment costs are really very high. Considering the drawbacks of the current modes of treatment, shouldn’t we focus on healing the causative emotional factors. Today, ACEs has been scientifically proven to cause chronic illness and disease. Why doesn’t the medical community acknowledge that adverse childhood experiences can pre-dispose one to developing idiopathic scoliosis? 1) The emotional causes of idiopathic scoliosis. Any help and assistance will be appreciated and acknowledged.